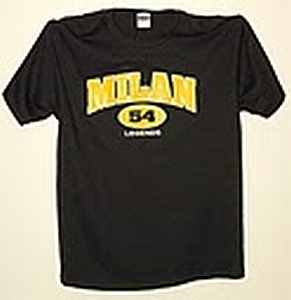 Black pullover with Milan logo on front. 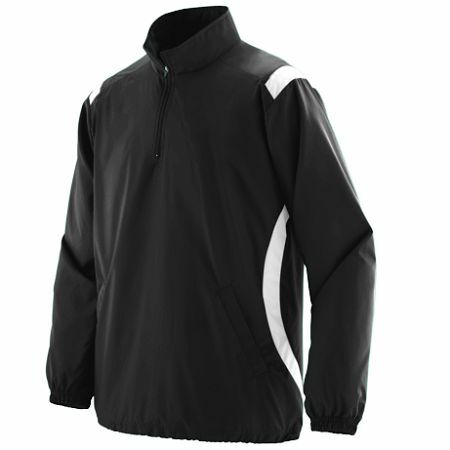 Outer shell 100% micro polyester. Body lined with 100% polyester taffeta. 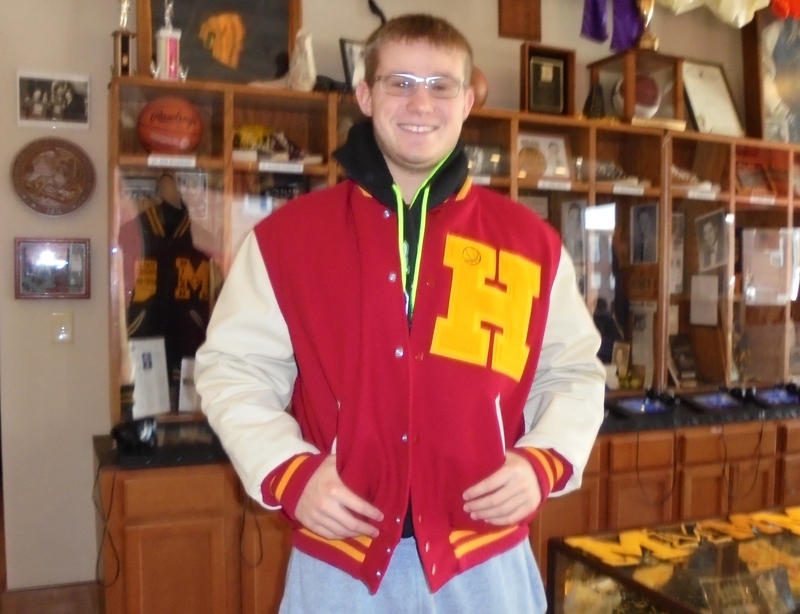 Half-zip style with white inserts on the front, sides, and back. Front pockets, elastic cuffs, open bottom. Only ONE left in stock…Adult size L.